E3 is hailed as the most important video game convention of the year. 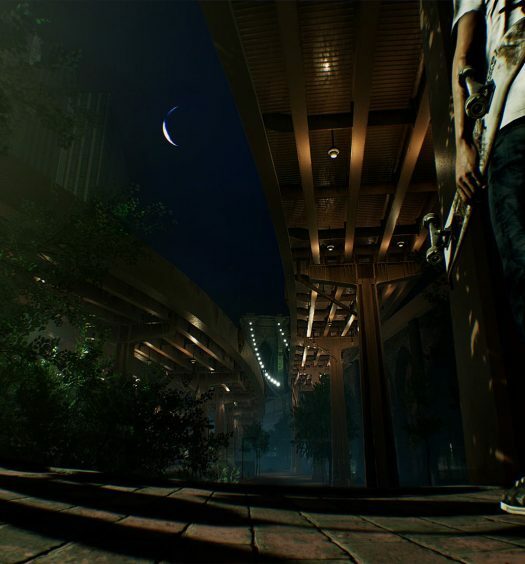 With attendees numbering in the tens of thousands, and the entire world watching online, the video game industry goes to great lengths to showcase their upcoming projects with some even years away from release. 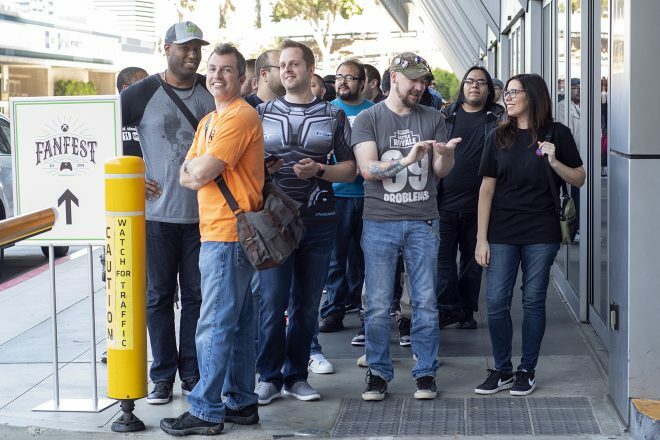 Historically, attending the expo required media or industry credentials, however, show organizers have recently sold “Gamer Pass” tickets to the general public, adding 15,000 pairs of feet walking the Los Angeles Convention Center (LACC) (and beyond – more on this below). That brought the total number of attendees this year to a whopping 69,200. There is a shift happening, and one could feel it in the air. 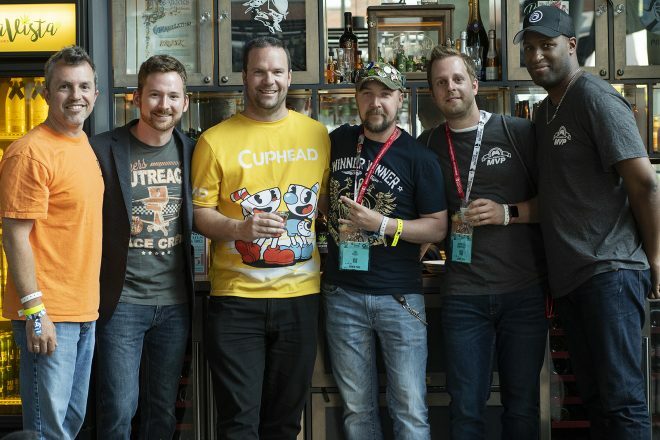 The Gamer Pass attendees were not just fans, but also streamers, YouTubers and other content creators. 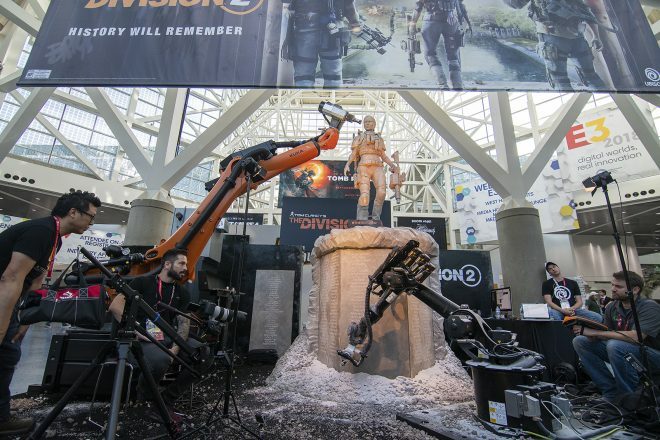 It was an injection of new blood into the once-exclusive industry expo. By the way, security screening was implemented for the first time this year – a sure sign of the times. All attendees were required to pass through a metal detector, and bag check and only exhibitors and the press were permitted to bring in bags the size of a backpack or larger. Thankfully, the screening was fairly expeditious, despite the lines snaking around outdoors, under the warm California sun. 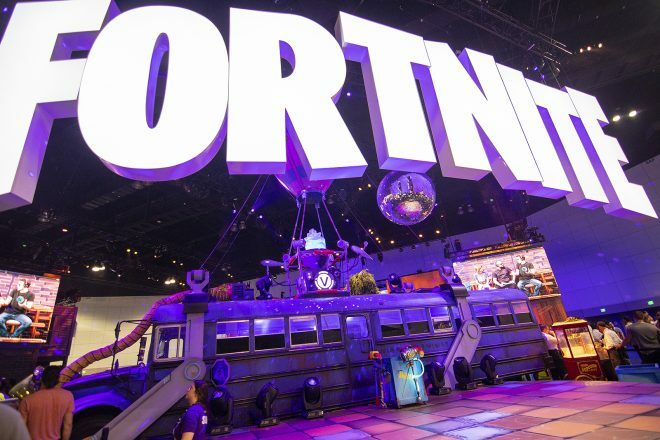 Inside, 200 exhibitors had booths ranging from a picnic-table sized space, to mega-sized areas that fit gigantic displays (see, Fortnite Battle Bus) and accommodated hundreds of guests. 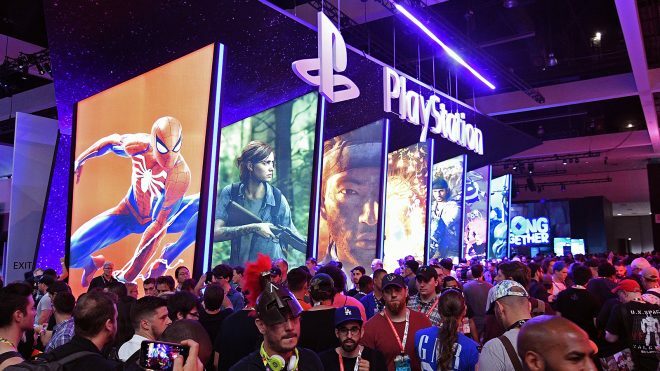 It is typical to see companies spend hundreds of thousands of dollars for a spectacular booth at E3, and this year was no exception. Booths were filled with demo stations for attendees to play unreleased games. And although most of them require hours of waiting in line for, at least the floor was carpeted, the air conditioning was on and there were plenty of booth displays to gawk at to pass the time. EA moved its booth off-site several years ago, turning it into EA Play Fan Fest (it was located about 7 miles from the LACC, which when considering traffic and lack of parking, can take some time to get to). This year, they made it far more accessible to attend it by moving to a reliable online registration system (at least it was reliable on the Monday that we attended – I read it was messy on Saturday when it opened). The entire site was very large, with plenty of game demos to play. Battlefield V attracted the most attendees (sadly, Anthem was present as merely a developer walkthrough), and with a stage where developer interviews took place, plenty of free food and ice-cold water, attendees could have spent all day there. 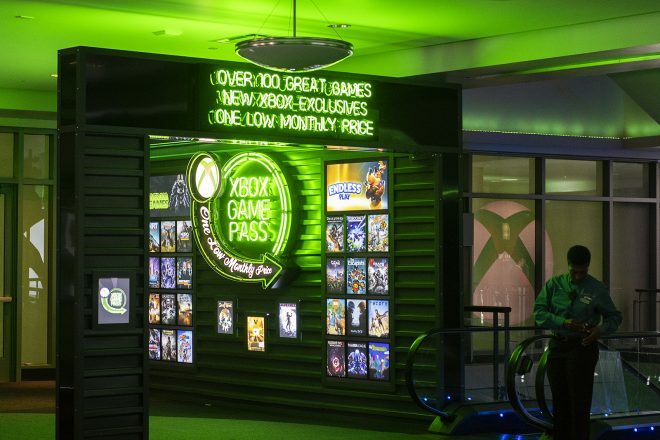 For the first time, Xbox moved off-site as well. Just across the street from the LACC is the Microsoft Theater, a glamorous venue that is home to numerous televised award shows, and has hosted top musical acts and performers. In other words, it was super fancy inside. Microsoft does not own Microsoft Theater though – it just has the naming and branding rights to the building. 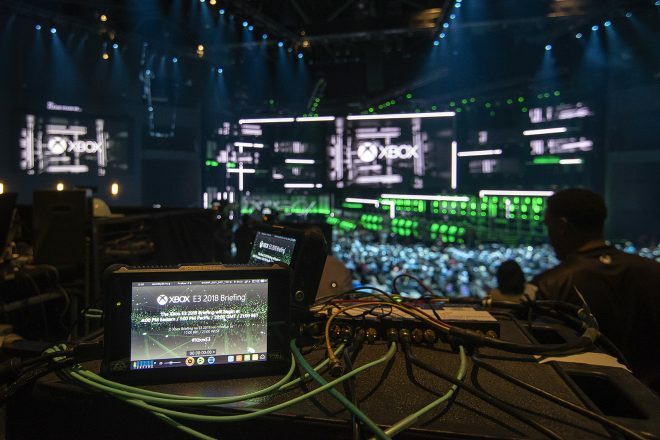 Xbox held its press briefing in Microsoft Theater, which was spectacular compared to its prior venue – the gymnasium at USC’s Galen Center. The briefing was a feast for the senses, and announcement after announcement took full advantage of the countless lights, displays, and booming sound system. After the briefing, the main theater was closed off, and the lobby areas were transformed into a more typical E3 booth (except on two floors, with escalators and elevators keeping attendees mobile). Game demo stations and a merchandise booth selling the newly-launched line of Xbox clothing and accessories filled the space, making the large area actually seem smaller than it was. Since the venue was close to the LACC, it was still in the heart of the action, yet it had its own identity. Of all the booths in the LACC, there were a few standouts that were the most fun to check out. First is the Fortnite booth. Yes, the free-to-play title that makes $300,000,000 per month had its own booth. And it was enormous. 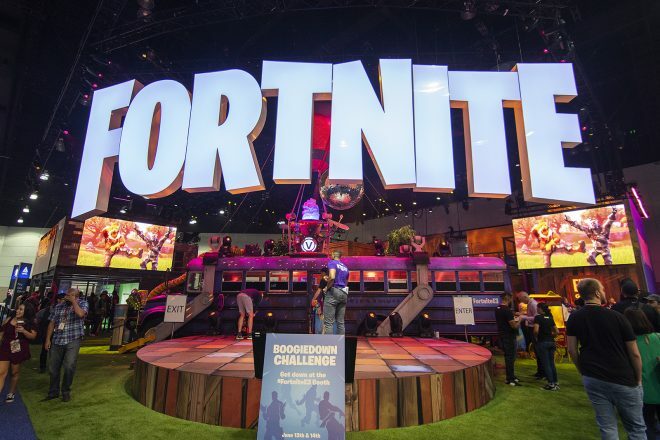 Complete with a life-sized Battle Bus display, mechanical bull llama ride, game stations, green-screen video booths and a merchandise booth, the Fortnite booth was a great place to spend some time at. Staffers handed out cookies and freshly-popped popcorn all day, and water coolers were there to quench attendees’ thirst. Not only that, but the Fortnite team handed out pins and other swag. Ubisoft pulled out all the stops this year with another huge booth. It was a bit more accessible for attendees, having moved their scheduled behind-closed-doors meetings away from the booth to the meeting rooms. 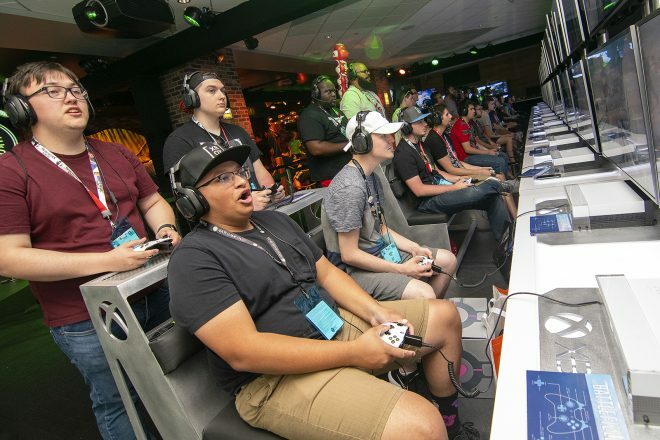 Demo stations (and swag) for Assassin’s Creed: Odyssey, The Division 2, Trials Rising, Skull and Bones, For Honor, Rainbow Six: Siege and Starlink attracted attendees by the thousands. Live Just Dance performances, interviews with developers and even photobooths entertained everyone who stepped near the booth. 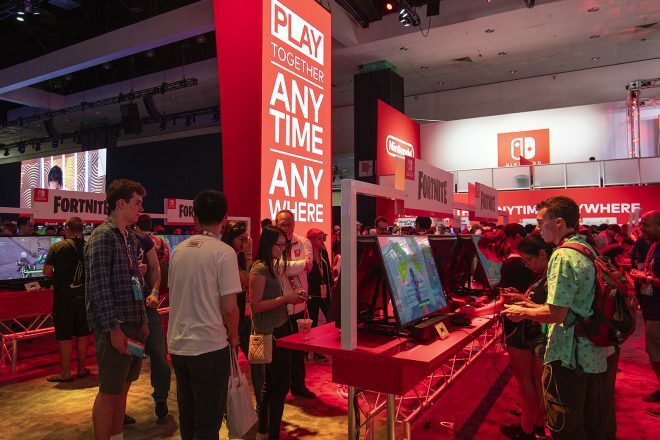 Nintendo and Sony both had giant footprints on the show floor, with folks waiting in line for hours to play Spider-Man, Super Smash Bros. Ultimate, Pokemon and other third-party titles, but their spaces seemed no more (or less) entertaining than in prior years. 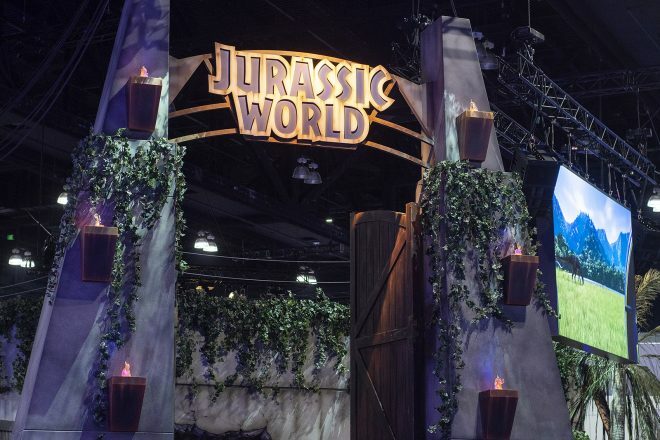 The Jurassic World Evolution booth gets an honorable mention for bringing the Park gates, a jeep and a life-sized velociraptor statue to the show floor. I would be remiss if I didn’t also mention the Jurassic Park theme song that played on repeat for everyone to hum along to. When the show floor closed on the last day of the expo, I noticed something different about the vibe outside the convention center compared to how it usually has been after every E3. 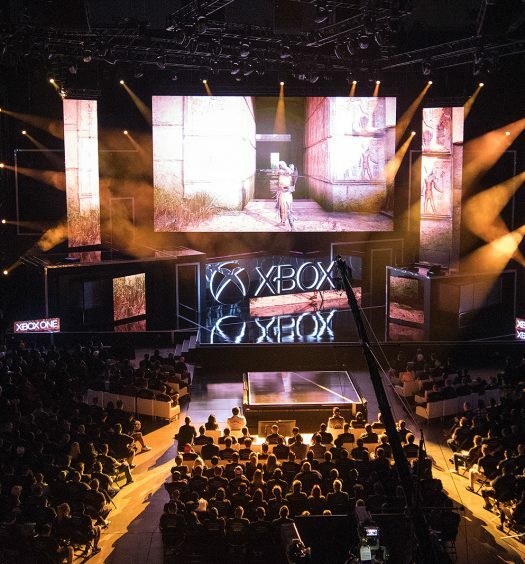 Instead of the mass exodus of exhausted exhibitors and worn-out media making their way to the real world, fans and streamers gathered in crowds, displaying a buzz and energy that perhaps can be best described as inspired. I walked past them, hoping to somehow absorb some of that youthful exuberance. After a long week, I was ready to unwind, but I have to admit, seeing the momentum built up by the industry carry on through the work of the fans and creators did leave me in awe.